Vitrocsa Minimal’s glass pivot doors are some of the most sophisticated available on the market today. Air and watertight these external pivot doors, are reliable and functional providing a variety of options and opportunities while opening up your space. With a range of finishes and glazing options, our architecturally trained team can guide you through the choices and will work to find you your best pivot door / window solution. 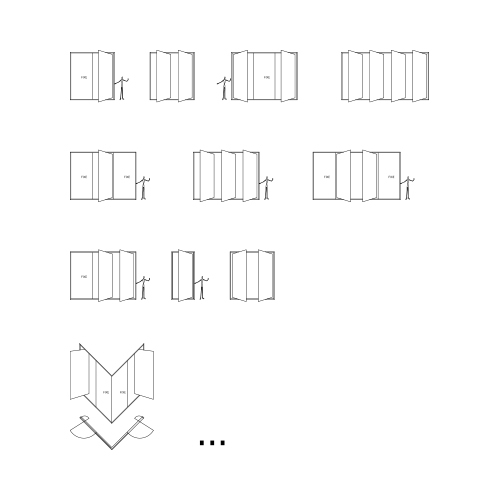 The pivot doors can be up to 12m² (and 6m high) while always retaining the 19mm frame. Our minimal glass pivot doors can be used in a single opening, as double doors or as a multiple and can be used in combination and adjacent to our minimal frameless sliding doors/windows. With its mobile rack blade locking and sealing system ensuring its extreme flexibility in terms of opening, our pivoting solution is perfect with new applications thanks to its great opening flexibility. Patent pending. Glass panel up to 12sqm. · The slimmest profiles at only 19mm. · Suitable for single, double and triple glazing. · Panel size up to 12m² wide. · Tracks act as drains. · Aircraft grade aluminium in natural anodised in 25 microns. · Frames can be either anodized or powder coated. · Can be centrally located or offset. · The minimum offset for the pivot is 270mm from the external frame (212mm from the internal frame). · Aluminium and stainless steel parts require minimal maintenance and can be done with ease. · Various options available for locking mechanisms including key lock, snib lock , internal espagnolette and electric lock. · Pivot can be supplied with a foot operated threshold weatherbar. · Infill panel – any material can be fit to our profiles including timber, stone and steel panels. · There are various options for handles including handles glued to the glass pane, full height ‘z’ aluminium extruction fixed to frame and recessed handles.